Ireland head coach Joe Schmidt said playmaker Johnny Sexton is in line to be available for Six Nations opening clash against England at Aviva Stadium on 2nd February. The 33-year-old has been out of action since the last week of December after sustaining a knee injury while playing for his club Leinster but has resumed training this week. Schmidt revealed the positive news on the World Rugby Player of the Year 2018 during the tournament's launch. 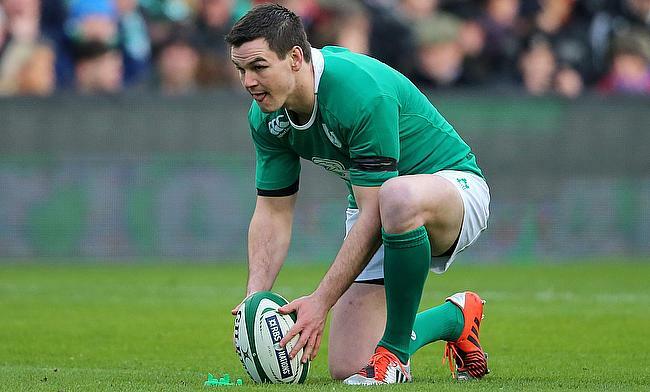 “He’ll train fully on Thursday and we will then ramp up his training,” the Irish coach said. Ireland will be heading into the tournament as favourites having clinched a Grand Slam last year and they have a chance to displace New Zealand at the top of the World Rugby rankings during this year's Six Nations. However, Schmidt is wary of the challenge ahead. “I don’t think we are clear favourites,” he said. “The psyche is one of enormous respect. You know if you don’t get things right, England can get a long way away from you.